Martin Espada becomes the second person affiliated with the college's Stonecoast master's program to receive a major award this year. When Martin Espada got the call from the president of the Poetry Foundation, he assumed it was a request to come to Chicago, the foundation’s home, for a reading. Those kinds of events, he said, are a poet’s bread and butter. But this phone call offered so much more. Henry Bienan was calling to tell Espada, a faculty member in the University of Southern Maine’s Stonecoast MFA program, that he had won the foundation’s 2018 Ruth Lilly Poetry Prize and its $100,000 award. The Ruth Lilly Poetry Prize is presented annually to a living U.S. poet and recognizes lifetime accomplishment. Espada is the first Latino poet to win the award since its inception in 1986. Reached by phone this week, Espada said he was shocked with the news and didn’t fully comprehend the magnitude of the prize until he began telling other people about it. 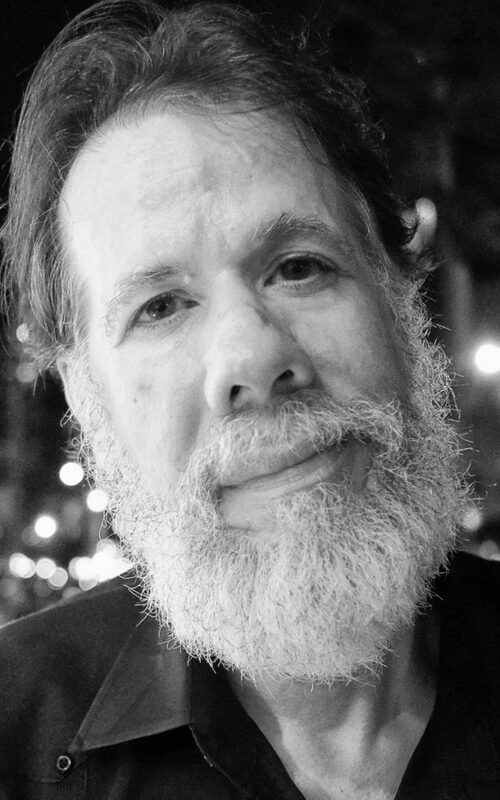 The Poetry Foundation, publisher of Poetry magazine, will honor Espada in Chicago on June 11. A little more than a month later, on July 12, Espada will read with the poet Lauren Marie Schmidt at Space Gallery in Portland. “I’ve been in and out of Portland for years, but this will be my first time reading in Portland,” said Espada, who also teaches at the University of Massachusetts at Amherst. He’s taught with Stonecoast since 2014. Stonecoast is one of the country’s top-rated, low-residency master of fine arts programs, attracting students from across the country and around the world for a 10-day residency in Maine and semester-long one-on-one work. Joshua Bodwell, executive director of the Maine Writers & Publishers Alliance, said Stonecoast has a history of attracting teachers who have become major national authors, including poet Tony Hoagland and fiction writer Tom Perrotta. It is among several exceptional writing programs in Maine that contribute to a deeper and more diverse literary life for the state, said Maine poet laureate Stuart Kestenbaum, himself a Stonecoast participant many years ago. “It was a wonderful resource for me – it’s a program that brings in great writers to work with, and it had a big impact on my own work,” he said. Espada was a tenants’ rights attorney before becoming a poet. As a poet, he has dedicated his writing to the pursuit of social justice and fighting for the rights of Latino communities. He has published more than a half-dozen books of poetry and has received numerous fellowships and awards, including a Guggenheim Fellowship. “The Republic of Poetry” from 2006 was a Pulitzer Prize finalist. Being the first Latino to win the award is cause for reflection and “makes me think of all the various Latino and Latina artists I have known who have not gotten their proverbial day in the sun,” he said. Chief among them is his father, Frank Espada, who was born on the island of Puerto Rico in 1933 and died four years ago. Espada’s poem, “Letter to My Father,” is about the aftermath of Hurricane Maria in his father’s hometown, Utuado. The award also caused Martin Espada to think about Jack Agueros, the first poet he ever met. A Puerto Rican fiction writer and essayist, Agueros got a late start, published a few books of poems and short stories, and then got Alzheimer’s disease and died. Without either man, Espada said, he would not have won the award. With his award, he plans to donate money to help with hurricane relief in Puerto Rico, because the U.S. government’s response has been so inadequate, he said. He also plans to visit his mother, who lives near San Francisco and is 88 years old.